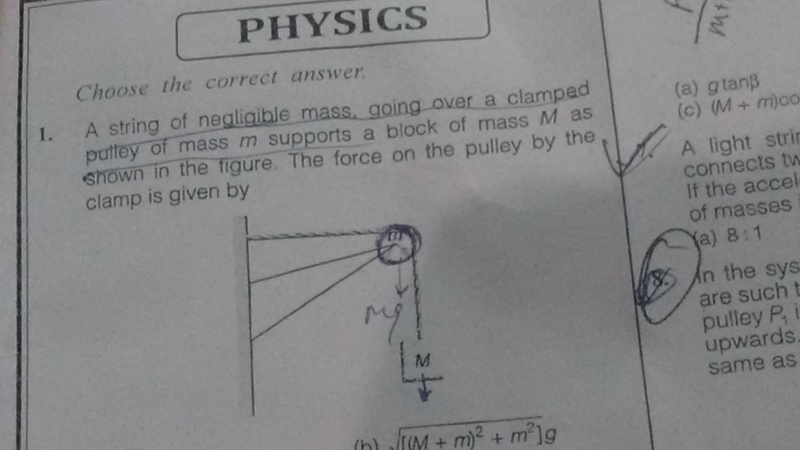 A string of negligible mass going over a clamped pulley of mass m supports a block of mass M as in the figure .The force on the pulley by the clamp is ? I am sorry to say that the answer given above is wrong. But there is only a small mistake that the horizontal force is notmg but it is Mg. And thus the answer chages to √[(M+m)^2+M^2]g.
In future kindly read the question carefully before answering.